Our factory trained technicians are available 24/7/365 to provide you with reliable and fast repairs to your heating systems. We service all brands, gas heat repairs, heat pump repairs, and electric furnace repairs in the Charlotte, Rock Hill, Concord, Mt Holly, Belmont, Huntersville, Lake Norman, Mooresville, Indian trail, Matthews, Pineville and Fortmill areas. Everyone deserves a warm, comfortable and safe home. If your homes heating system should break down or stop working properly, it is important to have a company you can trust to perform the heating repair services you need quickly, reliably and at affordable rate. Bsmart Remodeling, Heating & Air Services is the company to call 24/7/365, we've been providing heating system repairs for over 10 years. 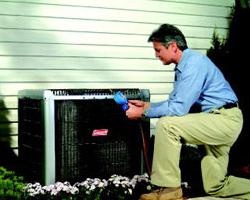 Our expert heating repair technicians can take care of any heat emergency you may have. 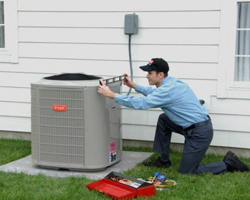 They'll make sure that your heating system is functioning properly and is running at peak efficiency. 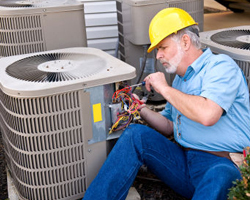 Our heating repair expertise includes all makes and models heaters, furnaces, heat pumps and electric furnaces. It doesn't matter if your system is old or new, if you are looking for routine maintenance or you're in need of a major heating repair Bsmart Remodeling, Heating & Air Services is here to help. We even perform a FREE carbon monoxide check with every heating repair service. Call Bsmart Remodeling, Heating & Air Services today at 704-522-0300 for any air conditioning and central a/c system repair. We provide fast air conditioning repairs! Our technicians are highly trained and stock parts to repair all heaters on their trucks. Call today to talk to a customer service representative and a service technician we be at your home shortly! Emergency Service! No Emergency Rates! Having your heater system break down is never a convenient thing. It's even worse when it happens at night or on weekend and you can't get live person on the phone, let alone someone to come to your home without an extra charge and fix it! No problem for Bsmart Services customers. We have live people answering the phones 24/7/365 and technicians available to our customers in their time of need-whenever that time is.